Ibsen Photonics is a corporate member of SPIE. SPIE is an international society advancing an interdisciplinary approach to the science and application of light. Ibsen Photonics is a corporate member of OSA. 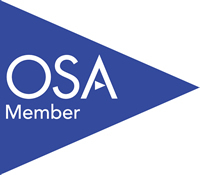 Founded in 1916, The Optical Society (OSA) is the leading professional association in optics and photonics, home to accomplished science, engineering, and business leaders from all over the world.